The Institute for the Study of Peak States (ISPS) is a world-wide research, teaching, and clinical treatment organization focused on the study of the psychology and biology of consciousness. Our groundbreaking discoveries in prenatal development and in the tremendously exciting new field of subcellular psychobiology have led to an entirely new understanding of the underlying biology of psycho-immunology and epigenetics. This has stunning, practical applications, allowing creation of entirely new techniques for the treatment of mental and physical diseases and the acquisition of exceptional states of consciousness. Our original research efforts were centered around understanding the cause of spiritual, shamanic, and transpersonal experiences. Whole-Hearted Healing, a trauma healing technique that uses regression was developed for this investigation. This led to the discovery of 'peak states' of consciousness - many of which have a profound impact on quality of life - and the development of the prenatal 'developmental events model' that explains why peak experiences, events, and abilities exist. 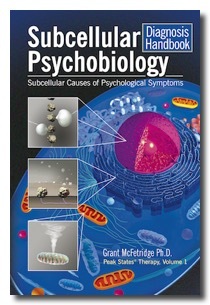 The new field of subcellular psychobiology is an even more fundamental breakthrough. It gives a cohesive framework that shows how psychological (and spiritual) techniques work biologically. It has also enabled us to discover the underlying causes and derive treatments for a number of devastating mental (and physical) diseases, many of which have been considered incurable. Our psycho-immunology approach is a whole new frontier of science; it will be decades before the huge range of applications are explored and utilized. Our current research projects include autism, Alzheimer's, Lyme disease, type 1 diabetes, OCD, and several other chronic diseases. The Institute also encourages and supports the growth of the field of acquiring peak states by searching for and providing links to other non-Institute approaches. To turn research into practice, we now have a school teaching our work to professionals internationally. Client safety is of utmost importance to us, so the Institute's professional training program also certifies and licenses practitioners. 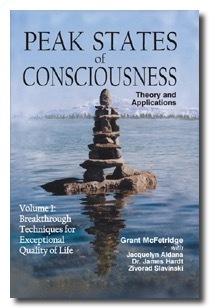 Theory and methods for acquiring a variety of different, permanent peak states of consciousness. In particular, our technique to turn peak experiences into permanent peak states is especially appreciated by clients. Specializations - the teaching and licensing of therapists in the treatment of specific diseases. Our techniques are fast, effective, and permanent. Currently the Institute clinics focus on just a few of the huge number of potential diseases our approach could address. Our current clinical treatments include traumatic brain injury (TBI), ADHD, Asperger's, and several other major diseases. This list of treatable diseases is constantly increasing - after a new disease treatment is derived and tested in by the research group, they are then made available via our international clinics (in Australia, Denmark, Germany, and Poland). Many of the treatments we've developed are now used by licensed private therapists in their own offices. These range from PTSD, addiction treatment, schizophrenic voices, to many other therapy-related issues and disorders. The Institute is also pioneering a new way to deliver health care - a 'charge for results only' approach to both psychological and physical conditions. The core purpose of this Institute is to find ways to improve the quality of life for all of mankind. We've written this website to help professionals and laypeople become informed on the specifics of our discoveries and keep updated as our work progresses - and to attract people who share our vision. We have a free newsletter that you may wish to subscribe to by clicking the link at the bottom of this page. If you have any questions, comments, or suggestions, please get in touch. Enjoy! Added Mar 5, 2019: Dr. Mary Pellicer and Dr. Kirsten Lykkegaard are presenting our treatment for traumatic brain injury at the 13th World Conference in Brain Injury in Toronto, Canada March 13-16 2019. Title: "Fast Resolution to Chronic TBI Symptoms by Improving Brain Resilience". Added Dec 20, 2018: A conference for therapists trained in the Institute is being held in Wroclaw, Poland on January 4-6. Friday is open to any therapist trained by the Institute, and Sat and Sunday are for therapists certified by the Institute. This is also a chance to spend time in the autism treatment school at the University there. Contact Agata Jankiewicz in Poland via her webpage. Added Aug 12, 2018: Dr. McFetridge was interviewed by Aleksander Berdowicz in Poland this summer. The resulting hour-long video is titled "Peak states, psycho-immunology, and fast trauma clearing". Added May 30, 2018: The Polish translation of Subcellular Psychobiology Diagnosis Handbook is now available on Amazon. Links are on our bookstore webpage. Added Mar 6, 2017: From Apr 25 - May 16, 2017, our CEO Shayne McKenzie (Australia) will be in Europe meeting certified therapists and people interested in our work. You can arrange meetings with him at , phone +61 (0) 432 887520 in Australia, or contact a staff person in your country. Added Oct 15, 2016: Added a webpage about our work on a treatment for Lyme disease, including the psycho-immunology principle used for creating immunity. For older news, see our RSS archives.